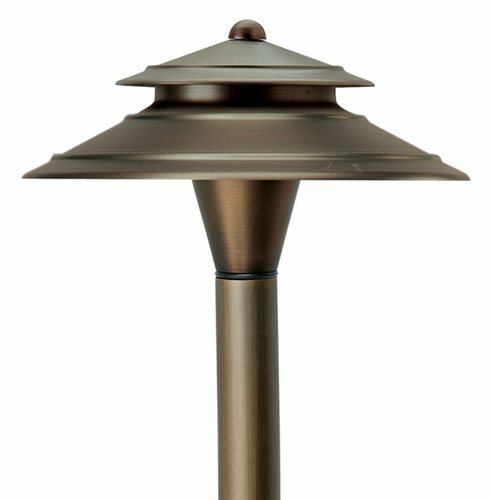 There are a variety of different outdoor lighting fixtures on the market. The fixtures needed for your landscape will depend on the lighting effects you wish to create. Landscape lighting fixtures are usually made out of brass, copper or aluminum. Brass and copper fixtures hold up better in coastal climates because they are resistant to corrosion caused by salt. Uplights are great for highlighting a tree, statue or other foacl loint in a landscape. UplightsBrass and glass fixtures with halogen or led light bulbs are housed in a round brass or copper tube and protected with a glass shield. Low voltage 18-3-50 watts per fixture. BollardsUsually used in commercial applications, these beefy light posts are designed to prevent vehicles from entering an area or veering off a path. Fixtures are placed at the entry to building or along a driveway or path. 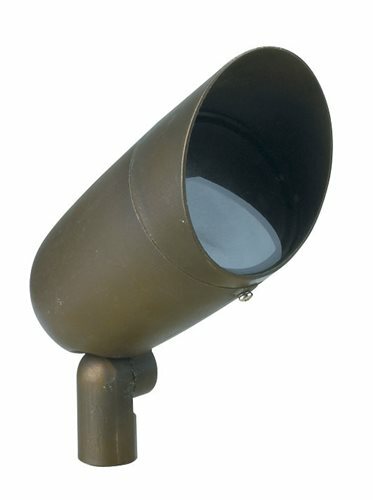 Post Lamps or Street Lampsare 5-6 feet tall and create ambient light for the area in which they are placed. 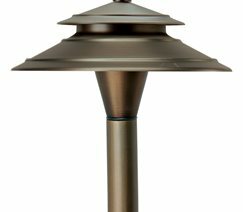 Great for outdoor bar service, dining areas or the BBQ, These fixtures are often wired for line voltage and placed on a manual switch separate from the low-voltage landscape lighting that comes on every night. One fixture typically covers a 14 foot diameter area. Pathlights are low to the ground and used to illuminate walkways for safety. PathlightsMetallic or glass fixtures illuminate a path. Depending on design, each fixture creates a 4-5 foot diameter of light. Be careful with placement not to create a "landing strip" look. 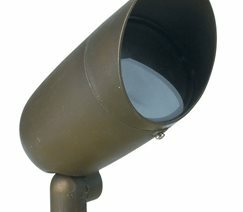 Well LightsFixtures are set below grade and have a protective brass and glass cover set at grade to keep snails and critters from fogging up he lens. Low voltage headlight bulbs are used to up-light trees and graze walls. Because the fixture is set below grade it is virtually invisible during the day and its presence only becomes known at night. Spread LightsFixtures have a bi-pin halogen bulb and mirrored background to reflect a clean band of bright white, light. Best fixture for silhouetting and grazing. Your initial design shouldn't use more than 80% of a transformer's capacity. That gives you some room to change your mind and throw on an extra lamp or two. Eyebrow LightsBrass and glass fixtures look like a half moon and downlight a path, bench, BBQ counter or walkway. Used on the side of plinths they can light a staircase without step lights. 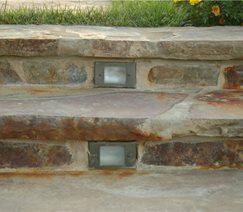 Step lights are set into the riser of concrete steps. 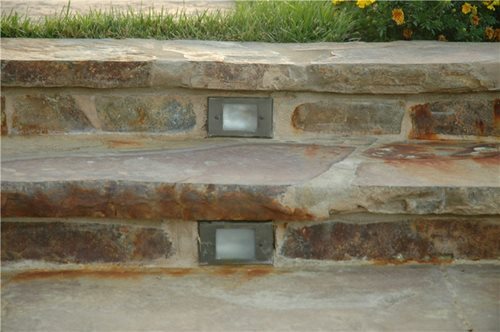 Step LightsBrass or plastic fixtures set into the riser of concrete steps. Lighting each step adds great safety but can create a commercial landing strip look in residential neighborhoods. On smaller staircases, consider placement of pilaster lites or eyebrows set along side of the steps to ensure safety without inadvertently welcoming airplanes to land in your front yard.